In this post, I’ll go over the key features of Nova; however, be sure to watch the recording of my Laracon talk for an in-depth demo of Nova’s features. Nova is installed via Composer as a Laravel package. It doesn’t interfere with your existing application in any way. In fact, you can install Nova into existing Laravel 5.6 applications that you have already built. On the front-end, Nova is powered by Vue.js, Vue Router, and Tailwind.css. 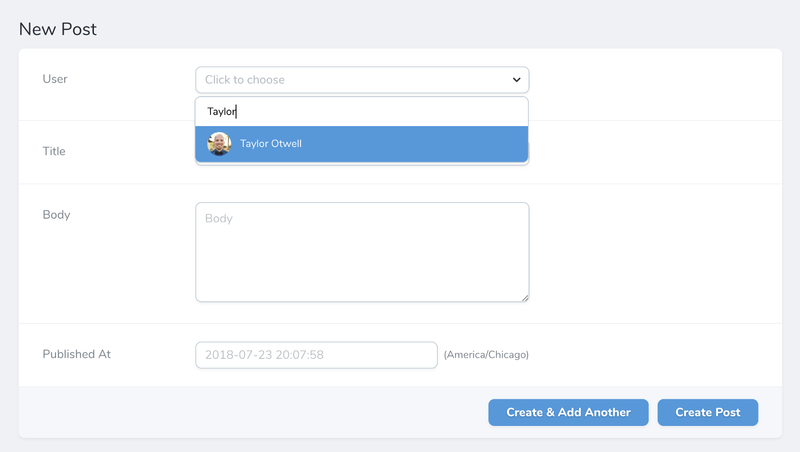 This makes for a powerful, flexible combination, especially in regards to customization — it’s a breeze to build custom tools, cards, and fields. 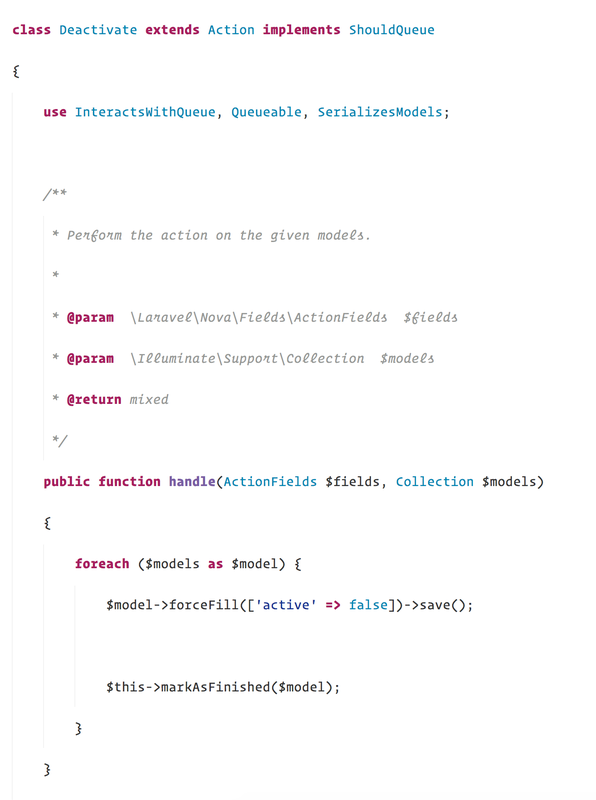 Each Eloquent model in your application has a corresponding Nova “resource” class which defines its fields, actions, filters, lenses, and cards. 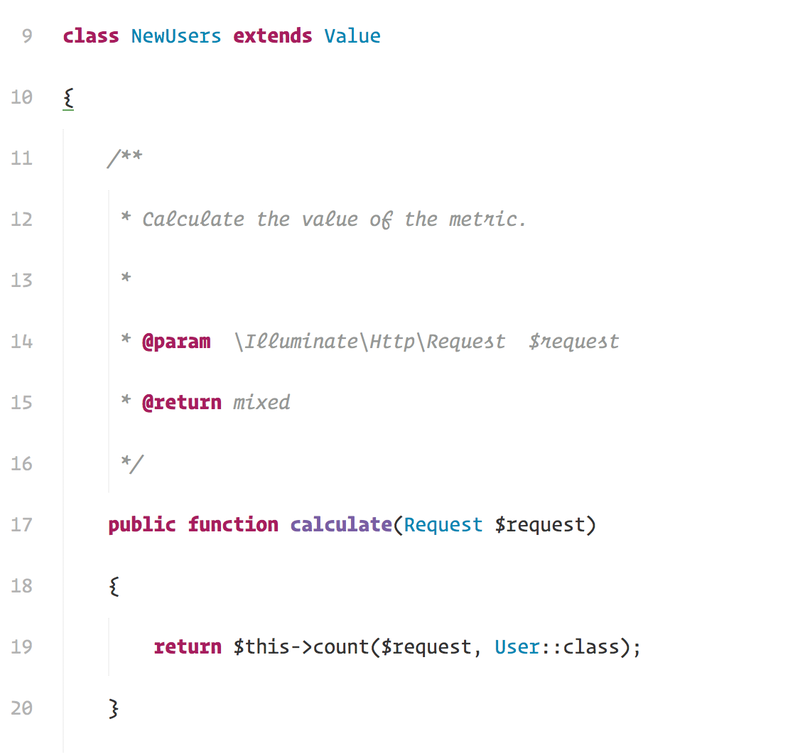 Nova is configured entirely using simple PHP classes. No configuration is stored in the database. 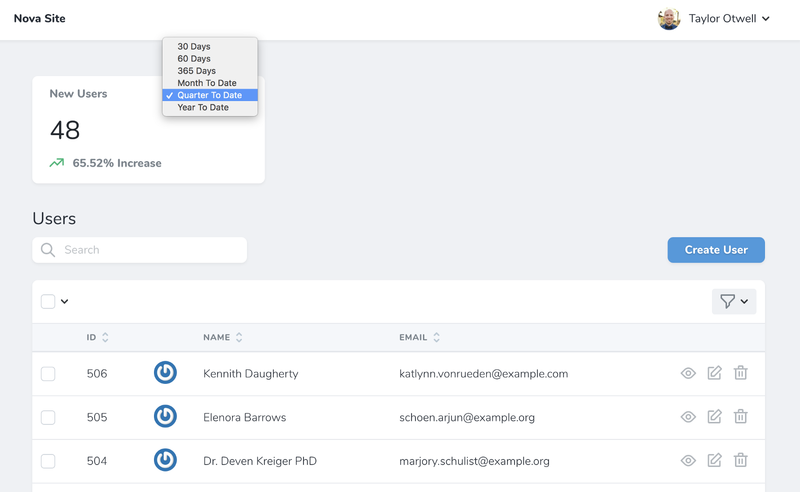 Of course, a primary feature of Nova is the ability to create, read, update, and delete resources in your database. We have worked hard to cover all of the edge-cases in this regard. Need to update the data on the “intermediate / pivot” table of a polymorphic many-to-many relationship? We have you covered. Nova has wonderful support for all of the various Eloquent relationship types. 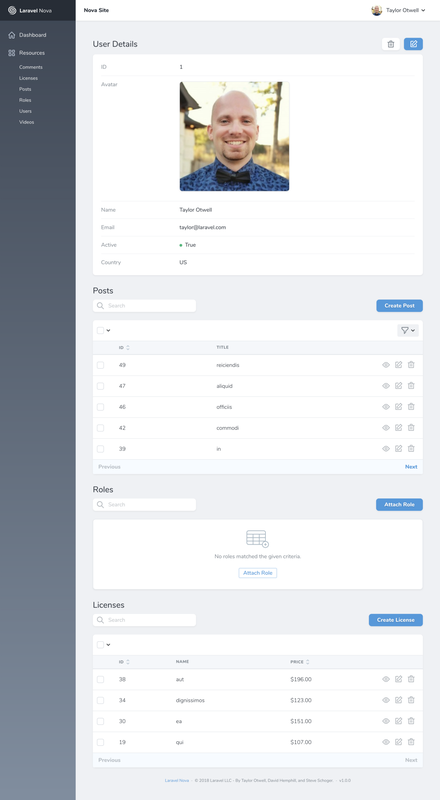 Resource detail views give you instant access to a resource’s information, as well as its related resources — all with lightning fast search, pagination, sorting, filters, and more. Nova also ships with a variety of great field types. Of course, the basics such as text, boolean, number, file uploads, and dates are covered. 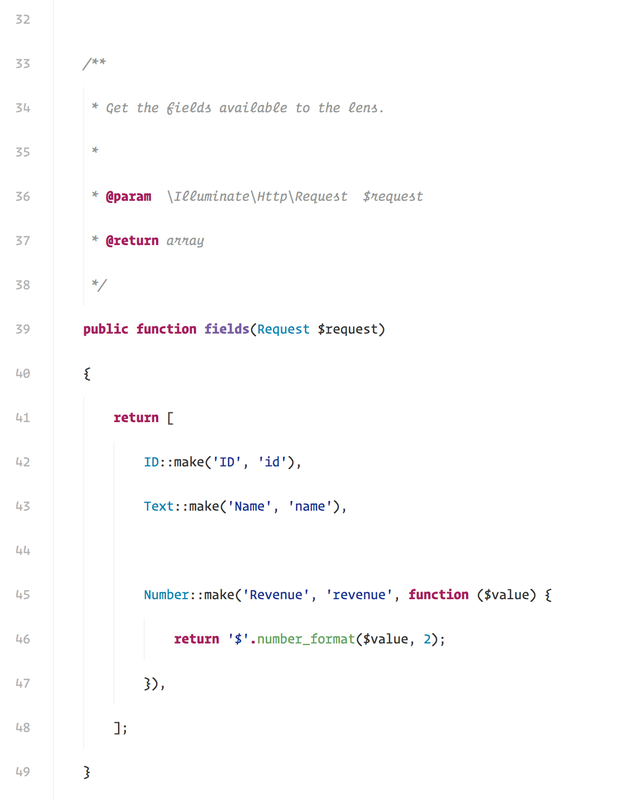 However, additional fields like Markdown, Trix, Code, and Place really make it a joy to work with Nova. 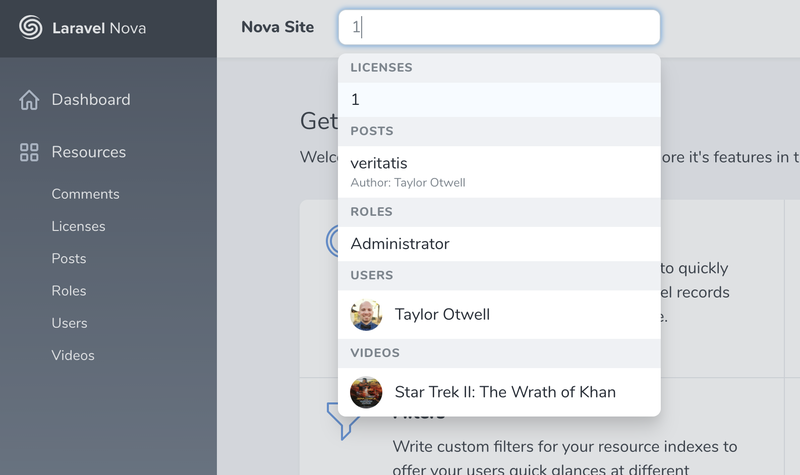 By default, Nova uses SQL queries to search your resources; however, if your application leverages Laravel Scout, Nova seamlessly and intelligently prefers using Scout searches, giving you the full-power of a true search engine such as Algolia. 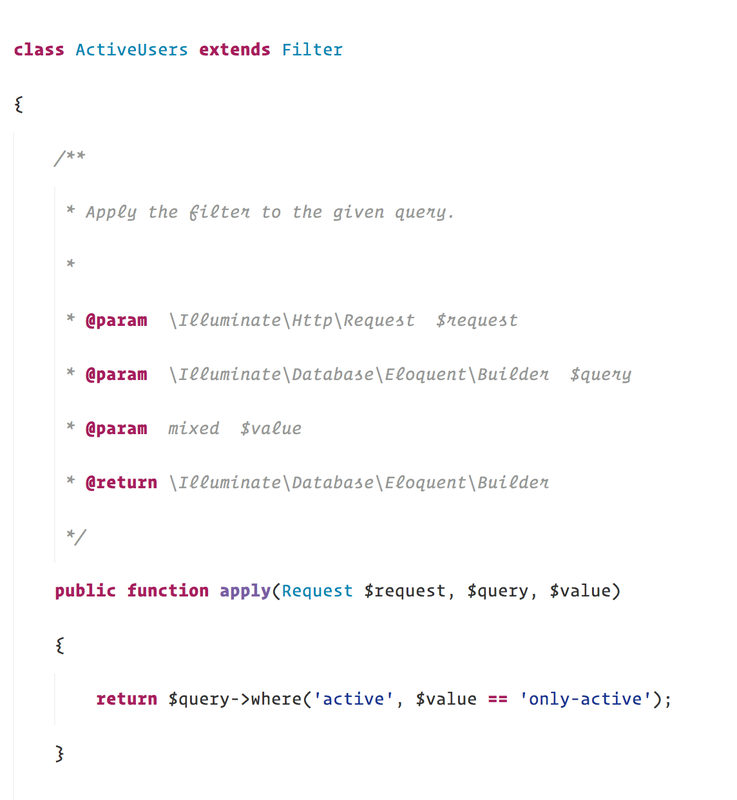 Actions are simple PHP classes that perform a given task on a resource or batch of resources. 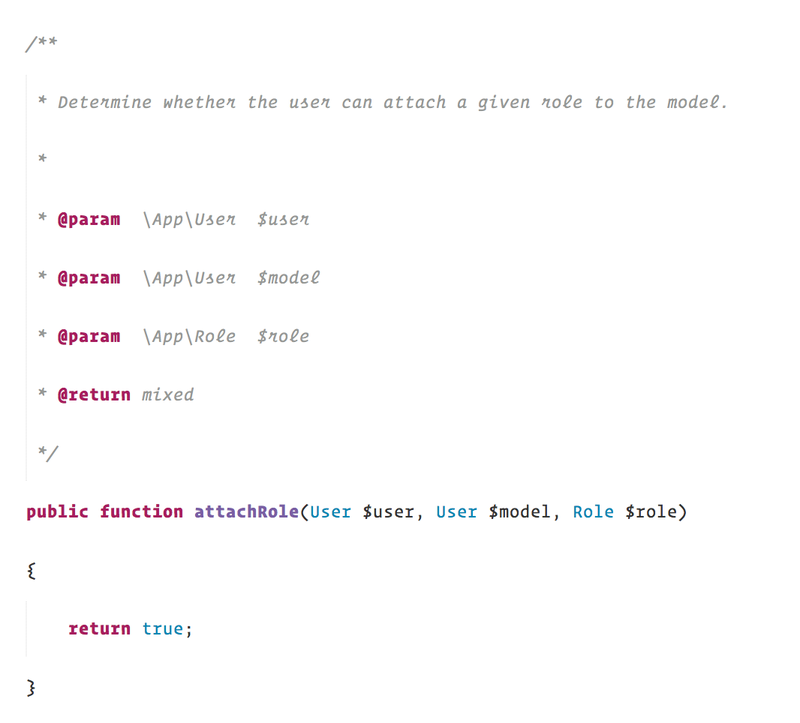 Each action contains a “handle” method that receives any incoming action fields and a Collection of models. All dates within the Nova UI are automatically, intelligently localized to the user’s timezone. In Europe? No sweat… you’ll see 24 hour time, localized to your timezone. Nova provides three types of charts out of the box: value, trend, and partition. You really won’t believe how easy it is to generate these metrics. What previously would have been an all-day job can now be done in seconds. 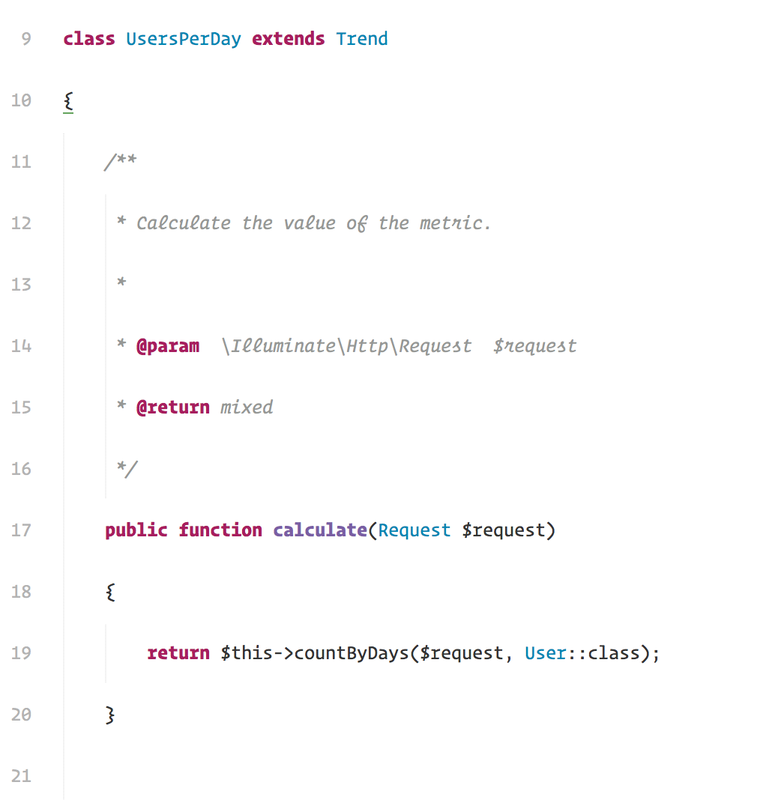 Of course, you aren’t forced to display trends by day. You may easily generate trends that plot data by the minute, hour, day, week, or month. 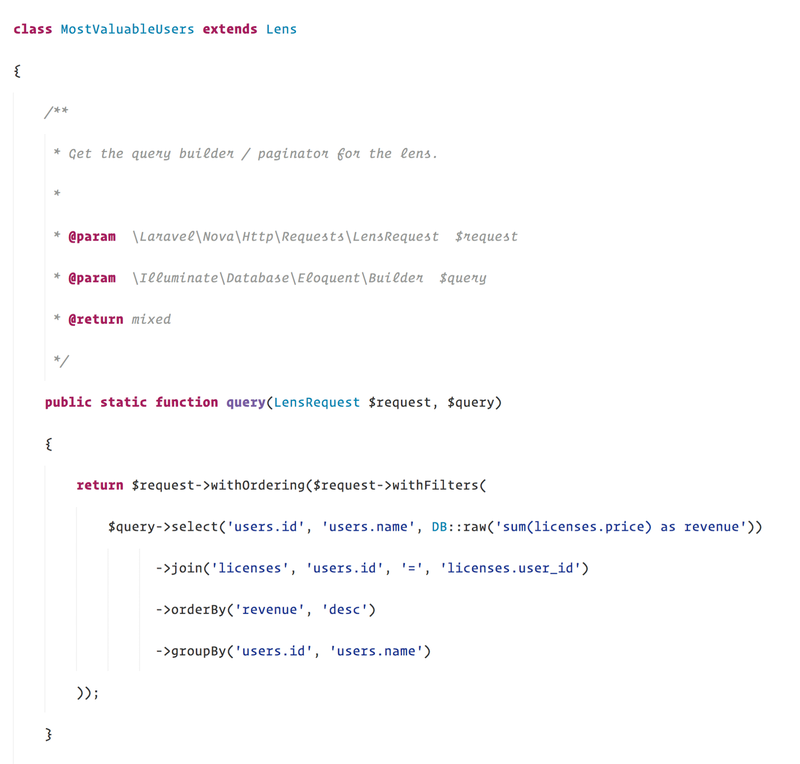 Nova beautifully integrates with Laravel’s policy authorization system. We leverage the features of Laravel you are already familiar with to create an exquisite development experience. You have granular control over who can view, create, update, or delete resources. If the underlying Eloquent model has a corresponding policy, Nova will automatically use it to authorize resource actions. 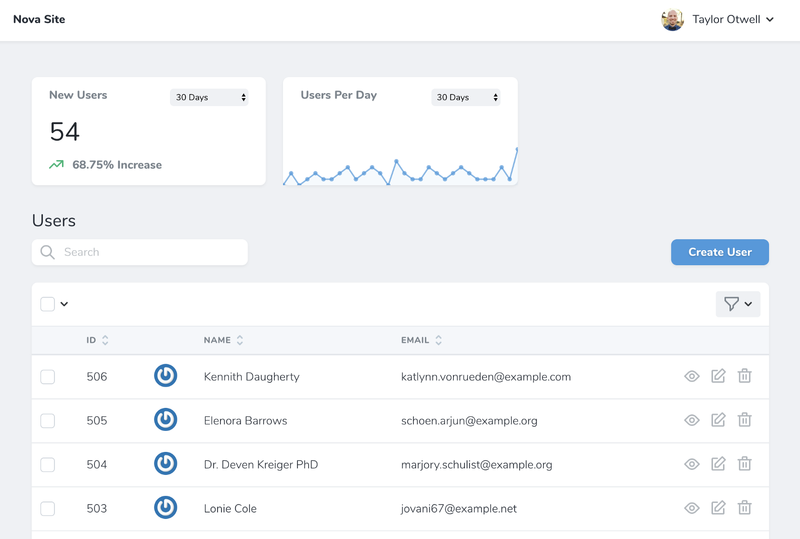 Custom cards (the small panels you have previously seen in the metrics examples) and custom fields are implemented similarly. Custom cards contain a Card.vue component which you have total freedom to customize. 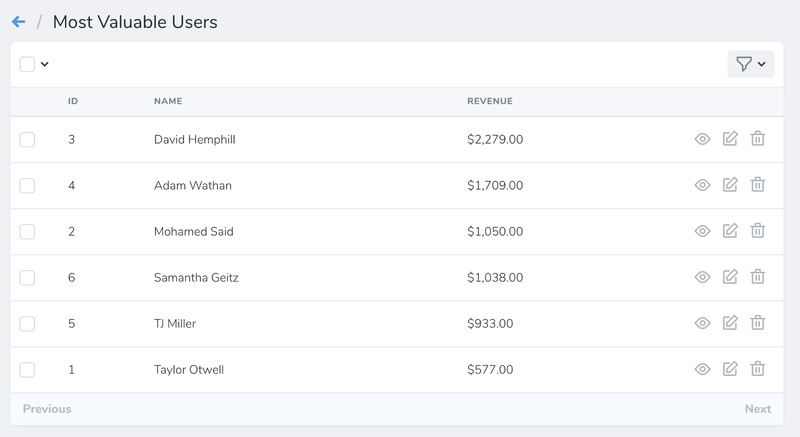 Custom fields contain three Vue components: one for index screens, one for detail screens, and one for forms. Again, you have total freedom when defining how tools appear and behave within Nova. 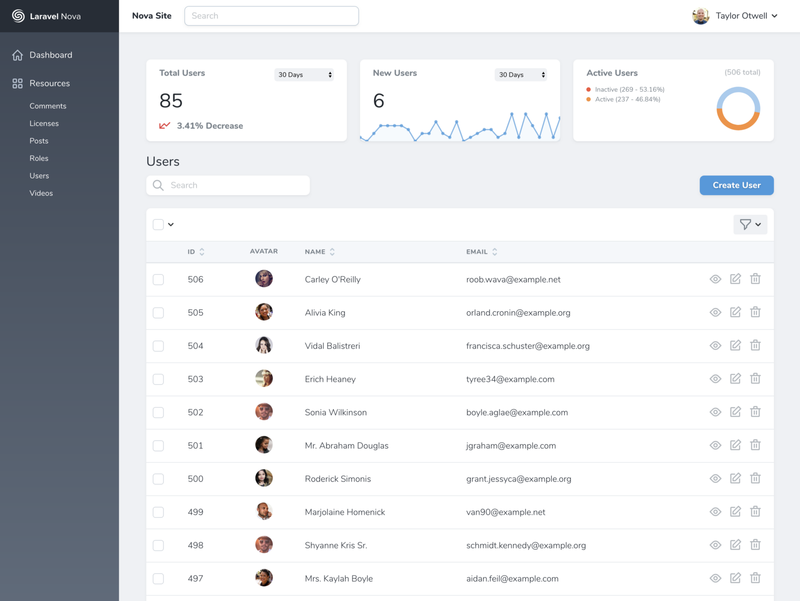 By leveraging the power of Vue.js and Laravel, we’ve given you a beautiful canvas to create on. I can’t wait to see what kinds of custom tools the community creates and shares.